Is there a better alternative to HoppiX? Is HoppiX really the best app in Puzzle category? Will HoppiX work good on macOS 10.13.4? HoppiX is a game of elimination: the object is to remove as many marbles as you can from the playing field. Take a marble and "hop" over a neighboring marble. The marble that was hopped over is removed from the playing field. Continue with this until no more hops are possible. 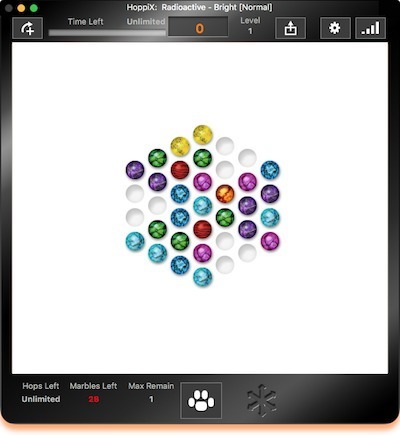 If you removed enough marbles from the screen, then you will move on to the next level -- or win the game! HoppiX needs a review. Be the first to review this app and get the discussion started! HoppiX needs a rating. Be the first to rate this app and get the discussion started! HoppiX includes several variations on the basic game as well as many different and lovely sets of marbles. Changing to a new game variant will alter the game board layout and possibly even some of the rules of the game. 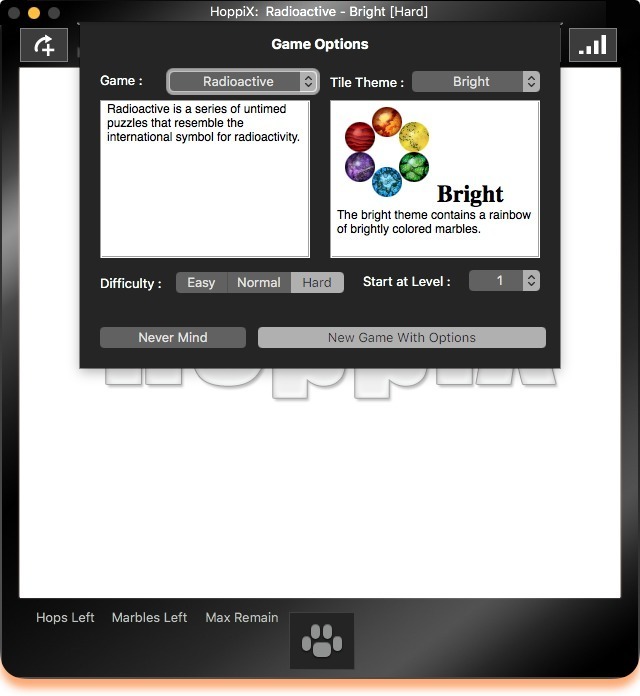 We also have an Easy - Normal - Hard difficulty selection to make the game even more flexible!